Want a trip to some really special places in the Upper Peninsula within driving distance of the Straits Area? Take your group through the wilderness of the Hiawatha National Forest to the Great Lakes Shipwreck Museum at Whitefish Point. This is a trip that can add a full day of exceptional sightseeing to your itinerary, especially when your guide knows the best routes, the best spots for wildlife, and firsthand knowledge and experience on Great Lakes Shipwrecks! Our trip north begins with our journey across the Mackinac Bridge*, one of the largest suspension bridges in the world. After an informative and entertaining trip 200 feet above the Straits of Mackinac, we’ll soon be on a colorful route to the Hiawatha National Forest, through the Upper Peninsula of Michigan. Common sights at various points of this journey include eagles, deer, and occasionally moose at one favorite watering hole. Every summer our groups have seen bears on this trip – when and where they will appear is always a surprise! 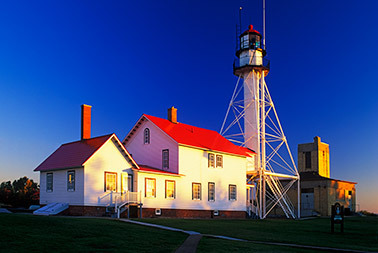 Next it’s on to Whitefish Point, where a windswept lighthouse guards the entrance to Lake Superior from Whitefish Bay. Tour the Great Lakes Shipwreck Museum*, the lightkeepers quarters, check out the large observation deck and see the big lake called “Gitchegumee” by the Chippewa hundreds of years ago. The Whitefish Point Lighthouse has been in use since 1849, making it the oldest active lighthouse on Lake Superior. 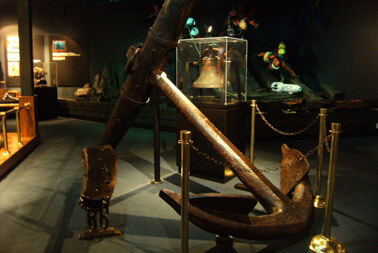 Inspect the Shipwreck Museum, where hundreds of artifacts have been retrieved from the “Graveyard of the Great Lakes,” Superior’s Shipwreck Coast. 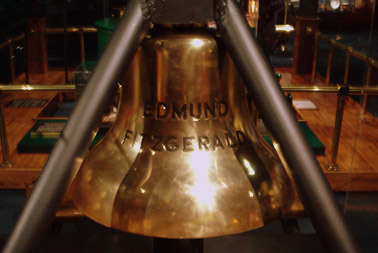 Always a favorite among motorcoach tours, the museum has relics from the region’s first shipwrecks to the haunting ship’s bell of the Edmund Fitzgerald, which sank just 16 miles away in the November gale of 1975. This is a day your group will long remember!